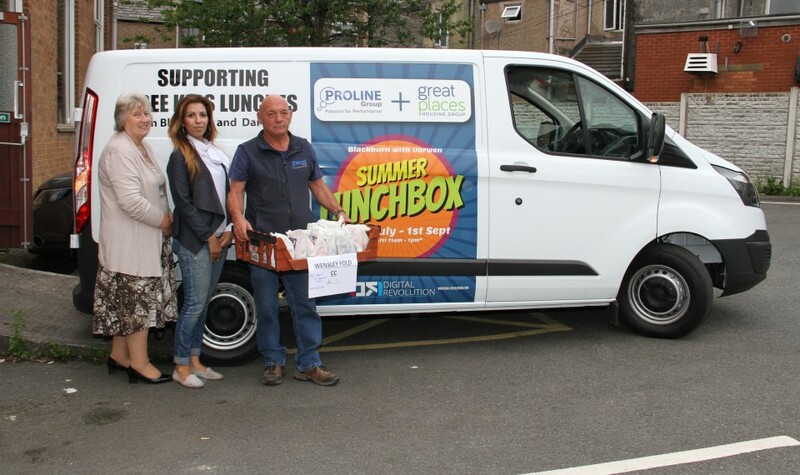 The Summer Lunchbox scheme is organised by Kat Zaman of charity Kingdom Outreach who started the project last year in partnership with Blackburn with Darwen Borough Council, voluntary organisation Secret Santa and Youth Zone. It is also supported by a number of local businesses. Last year the scheme saw 17,000 children receive the free packed lunches. In the first week of the four-week scheme, the group has already distributed 7,000 lunchboxes via Blackburn and Darwen’s children’s centres, with more being prepared each day. Kat, who recently won a Good Neighbour Award for bringing the project to life, said it was also an opportunity for children at the centre to get involved with activities before collecting their lunch. This is one of the most successful community partnerships we have ever had and it’s exactly what makes our borough so special; people pulling together to make a positive difference to those most in need. I would like to thank Kat, all the volunteers, the local businesses for their support and all the children’s centre staff for giving up their time and efforts to help struggling families this summer. The scheme is available to all children but work is undertaken to ensure the most in need families are supported to access the scheme by working with Children’s Social Care, Children Centres, Health Visiting and school Nursing service and schools. Volunteers prepare the meals at Blackburn’s Wesley Hall in the morning, before distributing them to the centres in a van provided by Intack self-drive. They also deliver the lunchboxes to Blackburn Youth Zone. The numbers of children taking up the offer vary from site to site between 70 – 170 per day. Included in the packed lunches are, crisps, fruit, juice or water, and a choice of sandwich. The group are hoping to repeat last year’s success and hand out more lunchboxes until the end of the summer break. Any packed lunches left over are delivered to Night Safe or the Salvation Army. Anybody wanting to use the scheme should go to their nearest children’s centre, available Monday to Friday.